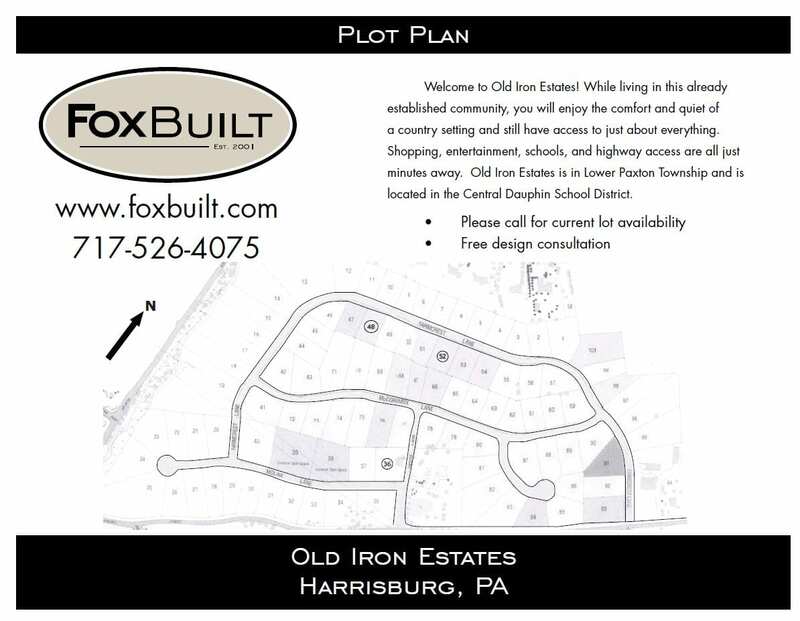 Welcome to Old Iron Estates! While living in this already established community, you will enjoy the comfort and quiet of a country setting and still have access to just about everything. Shopping, entertainment, schools, and highway access are all just minutes away. 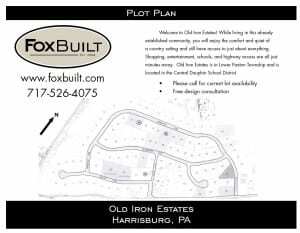 Old Iron Estates is in Lower Paxton Township and is located in the Central Dauphin School District. Homes range in price from $500,000 to $800,000+. Don’t miss out, come see what your dream home could look like! Call 717-526-4075 or use the form below to schedule an appointment. *Note: Not all properties are available for sale. This map is not drawn to scale and is intended for general informational purposes only. How did you hear about Foxbuilt?